Born Dec. 30, 1947, Birmingham, United Kingdom. Jeff's parents is Phil & Nancy and he has one brother and two sisters. 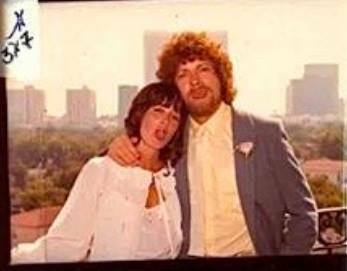 The first thing I can record with Jeff Lynne, is that he played guitar in bands like The Chantelle and The Andycaps and was in the band "The Classix" in 1964, then in 1965 he changed to "The Chads" (Robby Hood bass, John vocals, Pauline vocals, Margaret Reiss keyboards). In May 1966 joined Jeff Lynne at age 19 in "The Night Riders" (Greg Masters bass / vocal, Dave Pritchard rhythm / vocals, Roger Spencer drums / vocals, Johnny Mann guitar), he replaced the guitarist Johnny Man (formerly "The Vikings" ), which only managed to play with in 2 months. In November 1966 The Night Riders were in the studio to record the single "It's Only The Dog" with the side 2 "Your Friend" with Jeff Lynne on lead guitar, which already was released the same month. "The Night Riders" was a brilliant group, but was overlooked outside the Birmingham area! 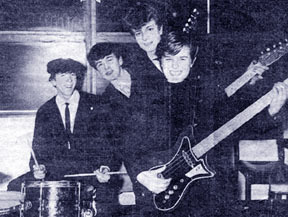 "The Night Riders" only managed to record a single before the band changed its name to "The Idle Race". The band recorded several singles and two albums for Liberty Records. In January 1970 Jeff Lynne was leaving "The Idle Race" to play with "The Move" in your 4 line up (Rick Price bass / vocals, Roy Wood guitar / vocals, Bev Bevan drums) and with this crew they had 3 hits, but the specialty of the group was gradually disappeared and Roy Wood said: If it had been up to us (Roy Wood & Jeff Lynne) we had dissolved "The Move" immediately after Jeff Lynne joined the band, so we could concentrate 100% on "The Electric Light Orchestra), but we were pressured not to do it! In 1970 Jeff married Rosemary (surname unknown (to me !)). After October 1971, the "The Move" had only experienced by TV performances and promotional singles. "The Electric Light Orchestra" sees the light of day in October 1971, in the 1 line up of the group was (Roy Wood cello, vocal, etc., Bill Hunt keyboards, french horn, Hugh McDowell cello, Bev Bevan drums / vocals, Jeff Lynne guitar / vocals, Richard Tandy bass / vocals (formerly "The Balls" "The Uglys"), Wilf Gibson violin, cello Andy Craig (leaving later showbiz)). 16. April 1972 was "The Electric Light Orchestra" giving their debut concert at The Greyhound in Croydon. Bev Bevan says: After the concert we were really very disappointed despite the fact that we had done everything that it should to be good, but the tone by was lousy and there were up to 5 minutes. between songs when Roy Wood had to switch to another instrument, the audience was disappointed - it was crap! Afterwards comes the first album that triggers the single "10538 Overture". Nick Mobbs who was boss of Harvest Records says that the band was too much creativity to only a band, then split the band when Roy Wood leaft "The Electric Light Orchestra" to start "the Wizzard" and from July 1972 Jeff Lynne leads "The Electric Light Orchestra". Sept. 1973 - Oct. 1974 .: 3 line up (Hugh McDowell cello, Bev Bevan drums / vocals, Jeff Lynne guitar / vocals, Richard Tandy bass / vocals, Mik Kaminski violin, Michael De Albuquerque bass / vocal, Mike Edwards cello). Because of the minimal conditions for the group as well as to the ambitions Lysol was not available in the United Kingdom, the The Electric Light Orchestra began to concentrate almost exclusively on the US market and Pierce as much as possible. As a result, sold their fourth album "Eldorado" for gold and the single "Can't get it out of my head" was the first on the Top 10. Also for the first time used Jeff Lynne a full orchestra and choir to establish the group's sound on "Eldorado" (a little hint of what may come in the future). This line-up also recorded the album "The night the lights went on in Long Beach" and which was only released in Australia, New Zealand and continental Europe. Mike Edwards and Michael De Albuquerque leaft the group in Oct. 1974. Oct. 1974 - 4 line up . : (Hugh McDowell cello, Bev Bevan drums / vocals, Jeff Lynne guitar / vocals, Richard Tandy bass / vocals, Mik Kaminski violin, Kelly Groucutt bass / vocal, Melvyn Gale cello). In came Kelly Groucutt (one week he played in Sight'n'sound for a few uninterested and the next he played for several thousands wild fans in some of America's ampfiteatre) and Melvyn Gale previously played with London & National Youth Orhestras. In the following 5 years, The Electric Light Orchestra was one of the most major bands in the world. "Face the Music" was certified gold after only a few weeks after the release, "A new world record" was on the US charts for over a year and "Out of the blue" was pre-booked to over 47 million dollars. Their next album "Discovery" was a top 5 record worldwide. I wonder if Jeff Lynne in May 1966 had an idea of what he wanted to achieve? Jeff produces "Funky Moped" with Jasper Carrott in, 1975. In 1977, Jeff becomes separated from his wife Rosemary. Jeff is writing "Poor little fool" to Helen Reddy in 1978. 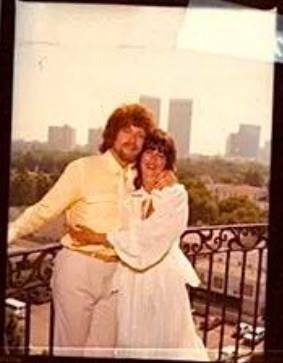 In 1979 becomes Jeff secret married to Sandi Kapelson (whom he had met three years earlier at a Jet Record party) in California and went to Switzerland on honeymoon. 7. 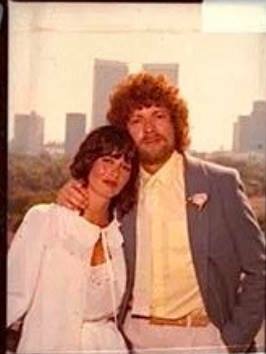 Dec. 1979 Jeff Lynne and his wife Sandi became parents to a little girl who baptized Laura. 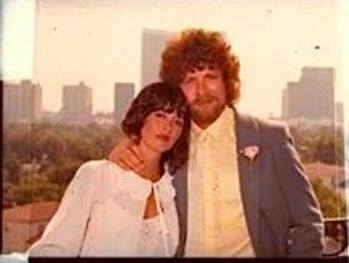 1981 Jeff and Sandi got their second daughter, Stephanie and they lives in the Midlands. 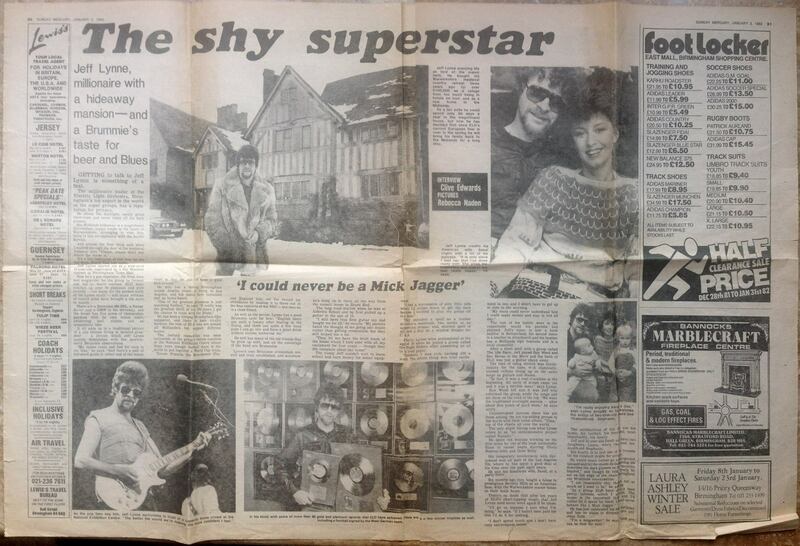 In April 1983 was Dave Edmunds' Information published it's been produced by Jeff Lynne. In 1984, Jeff Lynne goes solo with two tracks on the soundtrack to Electric Dreams, with different musicians and among them was Richard Tandy & Roger Tandy. September 1984 produces Jeff 6 tracks for Dave Edmunds' album "Riff Raff". In 1984 writes and produces Jeff the track "Night calls" with Joe Cocker, Jim Keltner drums, Mike Campbell guitar and Jeff plays the rest of the instruments on the track! In 1984, writes Jeff the song "The story of me" to The Everly Brothers, Jeff and Richard Tandy recorded backing track and sent it to Dave Edmunds on cassette so The Everly Brothers could sing to it. 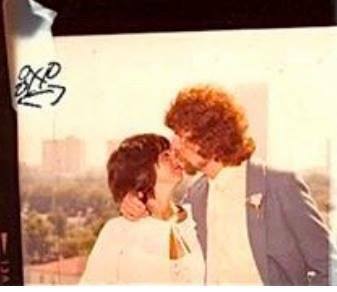 Jeff writes "One way love; for Agnetha Feltskog (ABBA) in 1985. In 1986, said Jeff on a MTV show where they talked about the album "Balance of power" to the tracks "So serious" and "Destination unknown" was his farewell to the band, because he did not feel he had more to give. 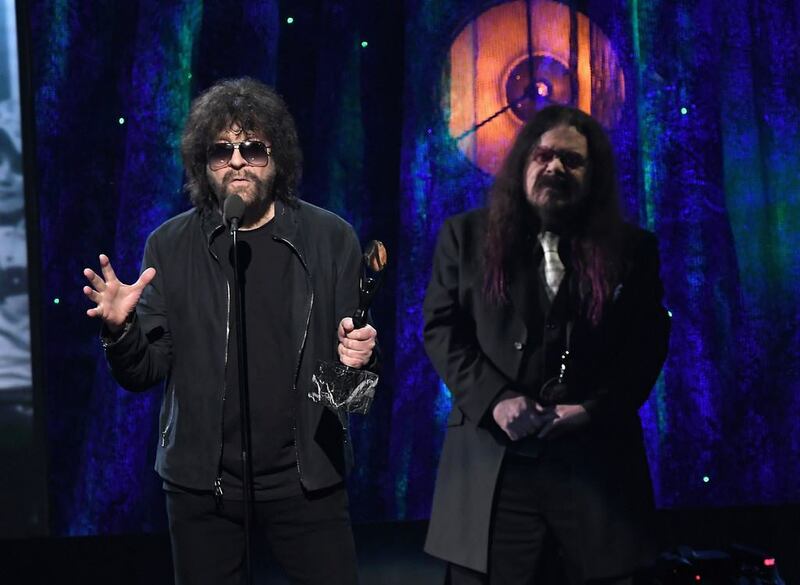 Jeff Lynne stands to lead The Electric Light Orchestra with a firm hand and with lyrics and music that gives enormous worldwide success until 1986, when the band plays its last live concert in Heartbeat '86 charity show in Birmingham, then dissolved The Electric Light Orchestra. After ELO was dissolved in 1986, the band was taken on as Electric Light Orchestra Part Two, with former members (Bev Bevan and Mik Kaminski) later also comes Kelly Groucott with in, but in 2000-01 jumps Bev Bevan from the band and when he was only member who had been with The Electric Light Orchestra from the beginning, demanded Jeff Lynne by lawsuit name back. The former Part Two goes back so name to The Orkestra. Sept. 1986 produces Jeff Lynne 6 tracks on the new album Riff Raff for Dave Edmunds'. In 1986, Jeff is involved in the single "Action!" with Tandy Morgan Band, which was released to raise money for a children's hospital. In 1987 produces Jeff Lynne 3 tracks on the album (Duane Eddy) for Duane Eddy and Capitol Records, other produce are Paul McCartney, George Harrison and Roy Cooder. In 1987, is Jeff Lynne working together with ex-Beatle George Harrison on his album "Cloud nine" where Jeff's track "Got my mind set on you" achieve 1. place in the US and a 2. place in the UK. June 1987 participant Jeff Lynne in The Fifth Annual Prince's Trust Rock Gala at Wembley Arena in London. Juli 1988 is Jeff Lynne co-writer and co-producer on the track "Let it shine" on Brian Wilson (The Beach Boys) solo debut album Brian Wilson. Oct. 1988 Jeff Lynne concentrates more and more on the production and teams up with Randy Newman with a few tracks on the album "Land of dreams". At the same time he helps a successful relaunch Roy Orbison's recording career, which also unfortunately Roy Orbison's last solo album for "Mystery girl" which contains the world hit "You got it." In the late eighties Jeff's mother dies. In 1988, Jeff produces "Tower of Babel" with Sumo Giants, but for an unknown reason Jeff got his name taken from credit list, so it says: Produced by **** *****. In 1988 was the band The Traveling Wilburys formed, members were Jeff Lynne, George Harrison, Bob Dylan, Tom Petty & Roy Orbison and the album Vol. 1 published. In 1989 published Vol. 3, but unfortunately without Roy Orbison which in the meantime sadly passed away. In 1989 & 1991 plays Jeff Lynne guitar, vocals & keyboard together with Tom Petty & The Heartbreakers, which he also produces the album "Full Moon Fever". In 1989 he also helps his old idol Del Shannon with several tracks before he died all too soon. In 1989, Jeff is involved in "God's good time" with Dave Morgan. 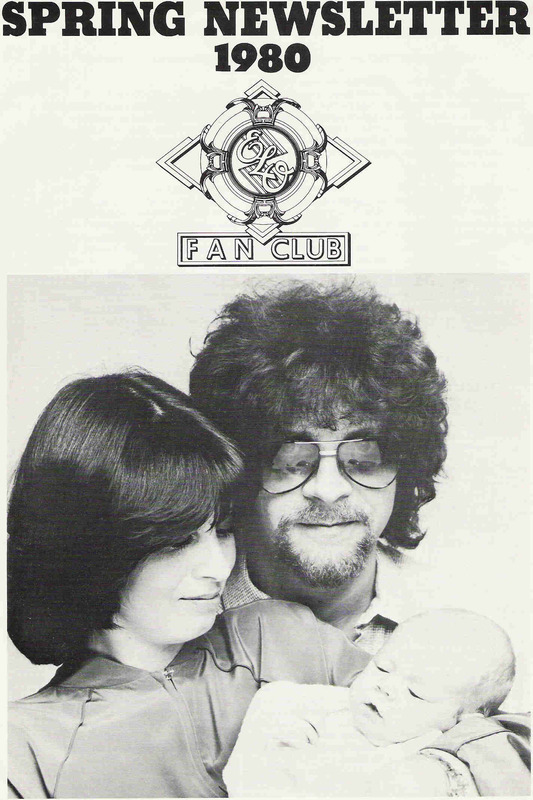 In 1990 produces Jeff Lynne 2 tracks for Roy Wood for later releases ("Me and You" and "If you do not get what you want") these are never published. In 1990 when Miss B Haven was recording "Nobody's angel" suddenly Jeff shows up to help and ended up producing 3 tracks and plays on all the tracks. 1990, Jeff's involved in "Work it out" with Jim Horn. In 1990 plays Jeff Lynne with The Jeff Healy Band (Jeff Healy guitar, Joe Rockman bass, Tom Stephen drums, Jeff Lynne guitar, George Harrison guitar, Mark Knofler guitar) on "While My Guitar Gently Weeps" on the album "Hell to Pay". In 1991, Jeff is involved in "Back from Rio interlude" with Roger McQuinn, he is co-writer along with Roger McQuinn & Tom Petty. In 1991 produces Jeff Lynne "Into the great wide open" for Tom Petty & the Heartbreakers. In 1991, Jeff co-writed "Drole De Vie" on english: "Funny old life" to Et Moi singer Anyes Falque and a 7 "and promo cd will be released, it's very rare. In 1991, Jeff is playing on the song "Good Golly Miss Molly" with Little Richard and Tom Petty and Ringo Star. In October 1992, publishes Ringo Star the album "Time takes time" where Jeff produced and played all the instruments except drums on two tracks "Do not go elsewhere the road do not go", "After all disse years". In 1992, Jeff is involved in "Night calls" with Joe Cocker. In 1992, Jeff is involved in "Lizard Love" with Aerosmith wich is published in 2003 to the Rugrats movie. In April 1993, publishes Julianna Raye's album "Something peculiar" which is produced by Jeff. Jeff Lynne is co-producer on the sound track for "Robin Hood" with Kevin Kostner and even supplies the track "Wild times" on which Julianna Raye sings. Jeff produced the single "Wonderful Land" with Hank Marvin featuring Mark Knofler in 1993, the number was originally created by Mike Oldfield in 1980. In 1994, Jeff is involved in "Lift me up" with Tom Jones. The following year, Del Shannon's death was the album "Rock on" released, and Jeff produced six tracks: "Walk away", "Who left who", "Are you lovin 'me too", "Lost in a memory", "I got you (the Bird's song)"& "Let's dance". Jeff and Tom Petty co-wrote "Walk away" by Del Shannon. In February 1995, is Jeff helping to complete a John Lennon number along with the 3 Beatles'er (George, Paul and Ringo), the number had different working titles ("Grow old with me", "Now and then", "Miss You" but ended with "Real love". November 13., 1995 starts the recording of Paul McCartney's new song "The world tonight", Jeff is on harmony vocal, electric guitar, acoustic guitar & keyboard. Producers are Jeff Lynne & Paul McCartney. February 14., 1996 publishes "Real Love" on single, a collaboration between the Beatles & Jeff Lynne, just before Valentine's Day. In 1995, Jeff involved in "Time mends a broken heart" with Bonnie Tyler, he co-writes a number with Kiki Dee. In May 1996, Jeff receives one Ivor Novello price for incredible service to British music. 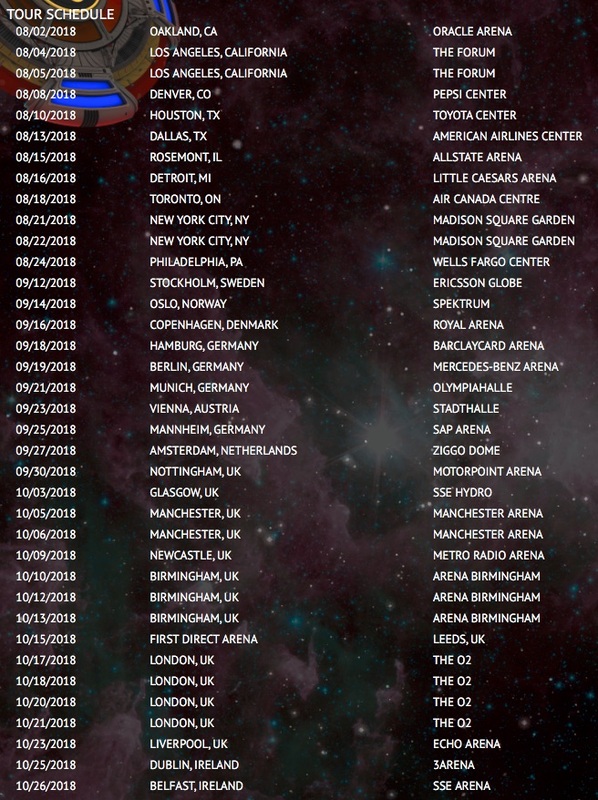 May 14. 1996 commenced the filming of two new Paul McCartney songs "Looking for you" & "Really love you", Jeff is on backing vocals, electric guitar. He also produces along with McCartney. In September 1996, Jeff used the first part of the month to finalize a Roy Orbison project, part of career retrospective, with Roy's widow Barbara. In May 1997, published Paul McCartney's "Flaming Pie" in which Jeff plays and also produces several numbers. In 1998, Jeff co-writes two tracks on the soundtrack for the Still Crazy "Dirty Town" (co-written with Ian L Francais) and "A woman like that" (co-written with Rosie Vela & Ian La Francais). In 1999, is Jeff involved in "Blue Beyond the gray" with Jimmy Nail. In 1999, Jeff sings backing vocal on "Human Love" with Gary Wright. In 1999, Jeff sings with the All-Star Choir of 2 tracks on "I wanna be Santa Claus" with Ringo Star. 2001 is the new The Electric Light Orchestra album "Zoom" published, after 15 years break, Jeff Lynne plays the majority of instruments has written and produced the whole thing, the only thing that I will mention among the musicians are George Harrison, Ringo Star, Richard Tandy , Rosie Vela and Jeff's daughter Laura Lynne (Thanks, Kim Christensen). 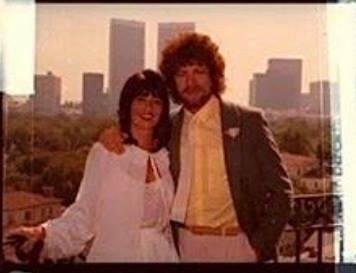 In 2012 after 3-4-5 years of rumors about the release of new material from Jeff Lynne, there was in October released not one, but two entire new album. "Long Wave" as is Jeff Lynne's interpretation of 1950-60'er numbers that meant something special to him. "Mr. Blue Sky The Very best of Electric Light Orchestra" are new recordings of Jeff Lynne's favorite The Electric Light Orchestra numbers where he felt that there was little here and there that could be done better, now that there are studio and tour deadlines. Note that Jeff Lynne basically is playing on all instruments on both albums! 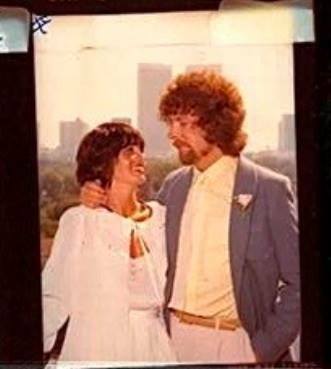 In 2012, Lynne and Richard Tandy teamed up at Lynne's Bungalow Palace home studios to record a live set of ELO's songs. This was broadcast on TV as part of the Mr. Blue Sky documentary. On 11 October 2012, Lynne was nominated as a performer/songwriter for 2013 induction into the Songwriters Hall of Fame. On 21 June 2013, the Hollywood Chamber of Commerce announced that Lynne is to receive a star on the Hollywood Walk of Fame sometime in 2014. On 9 February 2014, Lynne performed George Harrison's "Something" on The Night That Changed America: A Grammy Salute to The Beatles, as well as "Hey Bulldog" from the Yellow Submarine soundtrack while accompanying Dave Grohl, commemorating the 50th anniversary of The Beatles' performance on The Ed Sullivan Show. On 5 March 2014, Lynne received an honorary doctorate degree from Birmingham City University. He also mentioned he was working with Bryan Adams on new material. On 14 September 2014 Jeff Lynne played a public concert for the first time in over 25 years, headlining at the Radio 2 festival in Hyde Park, London. 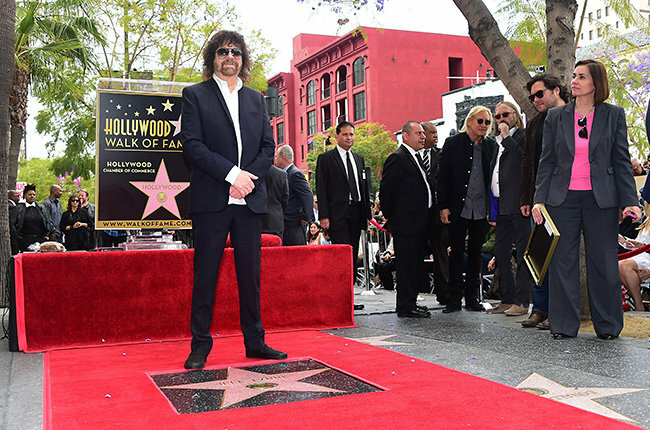 Jeff Lynne has been honored with a star on the Hollywood Walk Of Fame. The event took place on 23 April. 2015 Tom Petty and Joe Walsh made a speech. Other participants were Rosanna Arquette, Olivia Harrison, Dhani Harrison, Craig Fruin, Phil Hatton, Camelia Kath, Laura Lynne... There was a party after the ceremony at the Capitol Records Building. "Alone in the universe" was released in November 2015 and became the 18'th most sold album in the UK in 2015. Jeff's daughter Laura Lynne sings the backing vocal on "Love and rain" and "One step at a time". 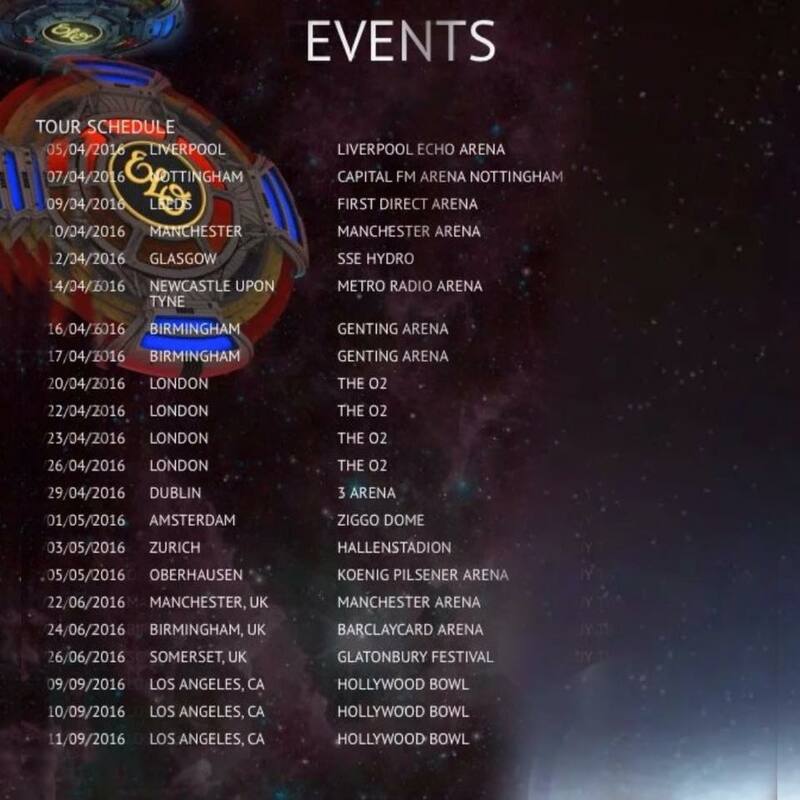 The Feeling will support Jeff Lynne's ELO on their upcoming UK and European arena tour from april 2016.